Babahu worldwide first AI-powered smart toothbrush has made a wave in the past month on the market. The campaign has reached over 1300% of total funding target. This is a huge success for all of us. Grateful for all babahu X1 toothbrush supporters! 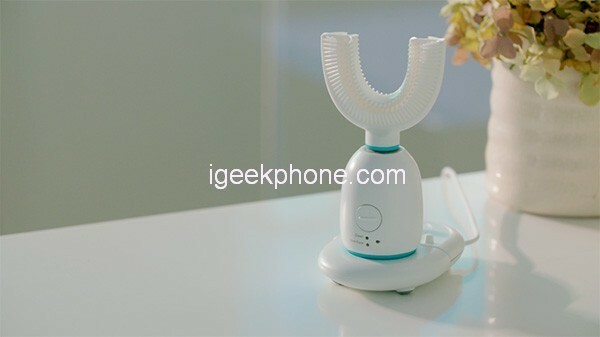 You will be unexpected to have such an unusual smart toothbrush in hands-free. Babahu is a fully-automated toothbrush that is designed based on the Bass technique of tooth brushing. It concentrates on 6 features that bring your daily oral clean simple. First, AI-Powered Smart Chip: the brush body can identify various toothbrush heads automatically, and combine your oral circumstance with different comfort levels. Second, Bass Method: the Bass Method is acknowledged by 80% dentists worldwide, with babahu 45°angle bristles, you can get healthy 6D clean brushing. Third, Built-in Nine-axis Sensor: babahu toothbrush strictly employs magnetic levitation sonic motor with a vibration frequency of 18,000-40000 per minute; you can get Deep Sonic Clean in 20 Seconds. Fourth, Audio Alert for Children: babahu Kid version toothbrush with an audio alert like “Great”, “Keep it up”, “Please bite gently”, “See you next time” that can encourage our kids to brush. Fifth, Daily Clean and Gum Care: FDA medical approved brush bristles are safe and hygiene, good for daily or Gum clean. All our referral program reward will be delivered in January 2019. 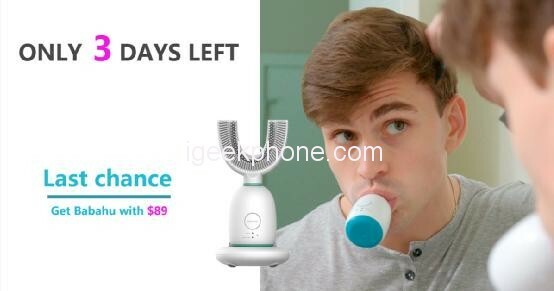 1.Campaign link share: Log in your Indiegogo account, share the campaign link with your friends and win free Babahu toothbrush. 2. Kickbooster page: Sign in your kickbooster account, share the special Kickbooster link and earn 15% cash back comes from your shared link.